﻿The following provides abstracts of my peer-reviewed journal articles and book chapters published since 2009. My up-to-date, full CV can be found on my faculty profile. Jones, A., Hoey, L., Blesh J., Janda, K., Llanque, R., and A. Aguilar. Peri-urban, but not urban residence in Bolivia, is associated with higher odds of the co-occurrence of overweight and anemia among young children, and of households with an overweight woman and stunted child. Journal of Nutrition, 148(4): 632–642.​ Download here. Urban populations have grown globally alongside emerging simultaneous burdens of undernutrition and obesity. Yet, how heterogeneous urban environments are associated with this nutritional double burden is poorly understood. Through a random survey of 3,946 households from two metropolitan regions of Bolivia, we aimed to determine: 1) the prevalence of the nutritional double burden and its components in urban, peri- urban, and rural areas; and 2) the association of residence in these areas with the nutritional double burden and its components. In multiple logistic regression models, we conclude that peri-urban, but not urban, residence in Bolivia is associated with a higher risk of the nutritional double burden than rural areas. Understanding how heterogeneous urban environments influence nutrition outcomes could inform integrated policies that simultaneously address both undernutrition and obesity. Hoey, L. and A. Sponseller. "It's hard to be strategic when your hair is on fire": Alternative food movement leaders’ motivation and capacity to act. Agriculture and Human Values. (Online first 1-30-18). Download here. Despite decades of struggle against the industrial food system, academics still question the impact of the alternative food movement. We consider what food movement leaders themselves say about their motivation to act and their capacity to scale up their impact. Based on semi-structured interviews with 27 food movement leaders in Michigan, our findings complicate the established academic narratives that revolve around notions of prefigurative and oppositional politics, and suggest pragmatic strategies that could scale up the pace and scope of food movement impacts. In contrast to the apolitical perspective some scholars see guiding alternative food movements, local leaders we interviewed see the food system from a structural-political lens. Though some see strength in fragmentation, most are not under the illusion that they can work alone and aspire to build their collective strength further. Concerns about organizational survival and conflicting views about the goals of the food movement, however, present ongoing challenges. Ultimately, we argue that there is a middle ground food movement leaders can walk between prefigurative and oppositional politics, one that still attempts to intentionally change the state, while also maintaining the inventiveness that can come from autonomous, grassroots initiatives. Specifically, interviewees suggested that increased strategic capacity around policy advocacy, critical food systems education, and negotiation could help them extend cross-movement networks and mainstream more equitable food policies, while continuing to experiment with customized solutions. Horst, M., McClintock, N. and L. Hoey. 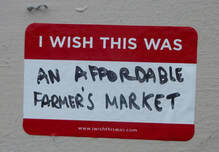 The Intersection of Planning, Urban Agriculture, and Food Justice: A Review of the Literature. J. of the American Planning Association, 83(3): 277-295. Problem, research strategy, and findings: We draw on a multidisciplinary body of research to consider how planning for urban agriculture can foster food justice by benefitting socioeconomically disadvantaged residents. The potential social benefits of urban agriculture include increased access to food, positive health impacts, skill building, community development, and connections to broader social change efforts. The literature suggests, however, caution in automatically conflating urban agriculture’s social benefits with the goals of food justice. Urban agriculture may reinforce and deepen societal inequities by benefitting better resourced organizations and the propertied class and contributing to the displacement of lower-income households. The precarious- ness of land access for urban agriculture is another limitation, particularly for disadvantaged communities. Planners have recently begun to pay increased attention to urban agriculture but should more explicitly sup- port the goals of food justice in their urban agriculture policies and programs. Takeaway for practice: We suggest several key strategies for planners to more explicitly orient their urban agriculture efforts to support food justice, including prioritizing urban agriculture in long-term planning efforts, developing mutually respectful relationships with food justice organizations and urban agriculture participants from diverse backgrounds, targeting city investments in urban agriculture to benefit historically disadvantaged communities, increasing the amount of land permanently available for urban agriculture, and confronting the threats of gentrification and displacement from urban agriculture. We demonstrate how the city of Seattle (WA) used an equity lens in all of its programs to shift its urban agriculture planning to more explicitly foster food justice, providing clear examples for other cities. Hoey, L., Colasanti, K., Pirog, R. and L. Fink Shapiro. (2017). Implementing collective impact for food systems change: Reflections and adaptations from Michigan. Journal of Agriculture, Food Systems & Community Development, 7(2): 101-115. Download here. As Collective Impact (CI) gains popularity across food systems change efforts, few scholars and practitioners have evaluated whether this collabora- tive social-change framework is well suited to food systems work. We begin to answer this question based on our own experience applying a CI model to support statewide goals established in the Michigan Good Food Charter. Our reflections are based on the project’s evaluation findings, internal staff discussions about their CI-based efforts, discussions with other food systems practitioners using CI, and a review of emerging literature where scholars and practitioners evaluate or reflect on facilitating a CI initiative. The Michigan experience largely corroborates what is emerging in the broader criticisms of CI: that limited guidance exists about how to implement various elements of the model, that CI is relatively silent on policy. Social movements are using education to generate critical consciousness regarding the social and environmental unsustainability of the current food system, and advocate for agroecological production. In this article, we explore results from a cross-case analysis of six social movements that are using education as a strategy to advance food sovereignty. We conducted participatory research with diverse rural and urban social movements in the United States, Brazil, Cuba, Bolivia, and Mexico, which are each educating for food sovereignty. We synthesize insights from critical food systems education and the political ecology of education in analyzing these cases. We compare the thematic similarities and difference between these movements’ education initiatives in terms of their emergence, initial goals, expansion and institutionalization, relationship to the state, theoretical inspirations, pedagogical approach, educational topics, approach to student research, and outcomes. Among these thematic areas, we find that student-centered research on competing forms of production is an integral way to advance critical consciousness about the food system and the political potential of agroecological alternatives. However, what counts, as success in these programs, is highly case-dependent. For engaged scholars committed to advancing education for food sovereignty, it is essential to reflect upon the lessons learned and challenges faced by these movements. Hoey, L. (2017). Reclaiming the authority to plan: How the legacy of structural adjustment affected Bolivia's effort to recentralize nutrition planning. World Development, 91:100-112. Thirty years after structural adjustment led to the widespread decentralization of developing country governments, signs are emerging of a slow return to centralized state authority. What is not apparent is how, and how well, national governments can imple- ment actions after reclaiming the authority to plan. I answer this question through a case study of recentralization—Bolivia’s Zero Mal- nutrition Program (ZM). My data come from ongoing fieldwork I conducted in Bolivia since the launch of the ZM program in 2007, but focus on additional, in-depth fieldwork I carried out over a period of 13 months during the program’s fourth and fifth year of imple- mentation. Data collection methods included semi-structured interviews, participant observation, document review, and secondary data analysis at local, regional, and national levels of the program. I argue that national planners may find it difficult to avoid replicating the fragmented planning model recentralization is often working against. In the Bolivia case, when ZM planners were given the rare oppor- tunity to lead national-level health reform, they believed the fastest way to act was to rely primarily on short-term consultants. This allowed for fast action on the ground, but at the cost of constant staff rotation and loss of momentum, training gaps, turf wars, and eventually, a loss of accountability and credibility for the program overall. How ZM staff at different levels of the program overcame these added challenges, however, is perhaps the most important story. Through participatory planning, a negotiated implementation approach, the re-skilling of mid-level managers, and the work of emerging ‘‘street-level champions”, I show how ZM planners and staff eventually began to restore public sector capacity. These findings contribute to the dearth of research on public sector implementation, particularly as it relates to developing countries and the growing initiatives aiming to effectively re-build national planning capacity. Hoey, L. Rumbach, A., and J. Shake. (2016). Bringing practice to the classroom: Using a deliberative learning and case study approach to teach international planning. J of Planning Education & Research, 37(2): 223-233. More effective methods are needed to meet the Planning Accreditation Board’s requirement to teach all master’s students about the “global dimensions of planning." Our survey of accredited US planning programs confirms that field-based courses, traditionally the most effective option, are costly and time-consuming and are therefore occasional, rather than regular, options for exposing students to international planning practice. Based on active learning theories, we suggest that a deliberative learning, case-based approach can facilitate many of the learning outcomes that make travel courses so attractive while also making internationally oriented pedagogies available to a wider range of students and programs. A series of international planning case studies and instructional materials we developed to test these assumptions, and now part of the first two author's regular course activities, can be found at the website for the International Planning Case Study Project. The promises of land reform have always been as seductive as they are elusive. Bolivia’s experience is no different, but one forgotten case may still offer lessons today: a land distribution project initiated in San Julian in 1972. Through archival research and interviews, I argue that several understudied elements of the San Julian project—its spatial design, settler orientation program and implementation process—offer lessons about the role planners can play in structuring more successful land reform. Revisiting the lessons of past exemplars like San Julian is critical given renewed land reform efforts that appear to be replicating past failures. Sustainability has become an integral consideration of the dietary guidelines of many countries in recent decades. However, a lack of clear metrics and a shared approach to measuring the multiple components of sustainable diets have hindered progress toward generating the evidence needed to ensure the credibility of new guidelines. We performed a systematic literature review of empirical research studies on sustainable diets to identify the components of sustainability that were measured and the methods applied to do so. Two independent reviewers systematically searched 30 databases and other sources with the use of a uniform set of search terms and a priori exclusion criteria. In total, 113 empirical studies were included in the final review. Nearly all of the studies were centered in high-income countries. Although there was substantial heterogeneity in the components of sustainability measured, the estimated greenhouse gas emissions (GHGEs) of various dietary patterns were by far most commonly measured (n = 71 studies). Estimating the GHGEs of foods through various stages of production, use, and recycling with the use of the Life Cycle Assessment approach was the most common method used to measure the environmental impacts of diets (n = 49 studies). Many components of sustainable diets identified in existing conceptual frameworks are disproportionately underrepresented in the empirical literature, as are studies that examined consumer demand for sustainable dietary alternatives. The emphasis in the literature on high-income countries also overlooks the production and dietary alternatives most relevant to low- and middle-income countries. We propose 3 methodologic and measurement approaches that would both improve the global relevance of our understanding of sustainable diets and attend more completely to the existing multidimensional, multiscale conceptual framing of sustainable diets. Hoey, L. (2015). "Show Me the Numbers": Examining the Dynamics Between Monitoring and Evaluation and Government Performance in Developing Countries. World Development, 70: 1-12. This paper examines the dynamics between monitoring and evaluation (M&E) and government performance in developing countries, where M&E systems are expanding rapidly. Findings in Bolivia suggest that approaches to M&E can lower staff morale, create burdensome paperwork, blind managers to operational problems and emerging innovations, and reinforce self-censorship, contributing to the very problem M&E is intended to solve. Crafted appropriately, M&E can instead become a tool to build practical judgment, increase staff motivation, and improve implementation incrementally. Ultimately, these findings contribute to efforts to design M&E that can support staff working under complex working conditions. Pelletier, D, Frongillo, EA, Gervais, SG, Hoey, L, Menon, P, Ngo, T, Stoltzfus, RJ, Shamsir Ahmed, AM., Ahmed, T. (2012). Nutrition Agenda Setting, Policy Formulation and Implementation: Lessons from the Mainstreaming Nutrition Initiative. Health Policy and Planning, 27:19-31. Undernutrition is the single largest contributor to the global burden of disease and can be addressed through a number of highly efficacious interventions. Undernutrition generally has not received commensurate attention in policy agendas at global and national levels, however, and implementing these efficacious interventions at a national scale has proven difficult. This paper reports on the findings from studies in Bangladesh, Bolivia, Guatemala, Peru and Vietnam which sought to identify the challenges in the policy process and ways to overcome them, notably with respect to commitment, agenda setting, policy formulation and implementation. Data were collected through participant observation, documents and interviews. Data collection, analysis and synthesis were guided by published conceptual frameworks for understanding malnutrition, commitment, agenda setting and implementation capacities. The experiences in these countries provide several insights for future efforts: (a) high-level political attention to nutrition can be generated in a number of ways, but the generation of political commitment and system commitment requires sustained efforts from policy entrepreneurs and champions; (b) mid-level actors from ministries and external partners had great difficulty translating political windows of opportunity for nutrition into concrete operational plans, due to capacity constraints, differing professional views of undernutrition and dis- agreements over interventions, ownership, roles and responsibilities; and (c) the pace and quality of implementation was severely constrained in most cases by weaknesses in human and organizational capacities from national to frontline levels. These findings deepen our understanding of the factors that can influence commitment, agenda setting, policy formulation and implementation. They also confirm and extend upon the growing recognition that the heavy investment to identify efficacious nutrition interventions is unlikely to reduce the burden of undernutrition unless or until these systemic capacity constraints are addressed, with an emphasis initially on strategic and management capacities. Pelletier, D, Corsi, C, Hoey, L, Faillace, S and Houston, R. (2011). The Program Assessment Guide: An Approach for Structuring Contextual Knowledge and Experience to Improve the Design, Delivery and Effectiveness of Nutrition Interventions. Supplement issue of the Journal of Nutrition, Sept 28: 1-8​. ​Download a copy of the Program Assessment Guide here. As evidence from small-scale trials has accumulated concerning the efficacy of low-cost interventions to address undernutrition, the design, implementation, and strengthening of large-scale programs to deliver these interventions has become a high priority. This scaling up process involves a large number of technical, logistical, administrative, political, and social considerations and little research exists on how to address these in a systematic way. This paper introduces the Program Assessment Guide (PAG), a set of analysis and decision tools that seeks to fill this gap, and reports on its application in Kyrgyzstan and Bolivia. The PAG places a special focus on eliciting and systematizing contextual knowledge and experience through a structured, participatory workshop and is grounded in theory, principles, and experience from program planning, management, change management, and intervention planning. When applied in Kyrgyzstan and Bolivia, the PAG was successful in helping workshop participants identify key implementation bottlenecks, questionable assumptions in the program theory, and feasible ways to address some of the shortcomings. These experiences also identified the need for a number of modifications to the PAG related to the workshop design itself, the preparations prior to the workshop, and follow-up after the workshop. The PAG represents one approach for strengthening decisions related to the design and large-scale implementation of interventions. The development and full-scale testing of alternative methods such as these for strengthening program analysis and decision making is an important and intellectually challenging subject for further research. A number of multilateral and bilateral food security and nutrition initiatives have been launched in the wake of the 2008 food crisis, many with the explicit intention of fostering country ownership, multisectoral action, and harmonization among international partners. These bear some resemblance to the failed multisectoral nutrition planning initiatives that followed the 1974 world food crisis, raising the question of whether the current initiatives are doomed to experience the same fate. This paper explores these questions in one country by focusing on the policy sustainability of Bolivia’s Zero Malnutrition Program (ZM), a multisectoral initiative that appeared at its initiation to be buttressed by political support and strengthened by design features that differed in important ways from similar efforts of the 1970s. 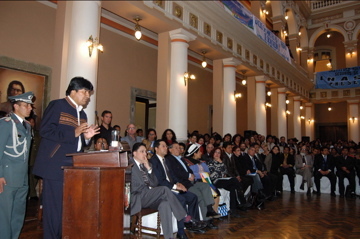 Retrospective and prospective data collected through an action research and grounded methodology revealed, however, that the real struggle in Bolivia came after ZM was launched. ZM champions made undeniable progress in the first 2 years of the program with health-sector interventions, but they underestimated the challenges of building and sustaining the commitment of high-level political leaders, mid-level bureaucrats, and local-level implementers in the majority of other sectors. 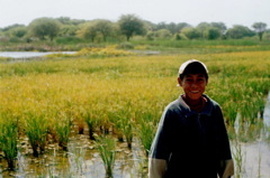 These initial experiences from Bolivia hold important lessons for several global initiatives to scale up nutrition actions, which are being launched in great haste and so far have given scant attention to strategies for managing the nutrition policy process and strengthening the capacities for implementation. We argue in this paper that a shared desire to find a solution to malnutrition and agreements to use priority, evidence-based interventions are important but not sufficient conditions for effective policy development. This paper illustrates this point, and draws out general implications, through a detailed analysis of a case in which conflict emerged when committed nutrition policy actors began discussing the details of program design and implementation. The case involves one country’s effort to select “the best” anthropometric indicator for use in its national child growth-monitoring program. In this case the interested parties approached this deceptively simple decision for different reasons, using different sources and standards of evidence and focusing their attention on opposite, but equally critical, operational considerations, while being heavily influenced by global, national, and interorganizational events and relationships. We suggest that actors seeking to translate political commitment for nutrition into effective action should recognize the technical and sociopolitical complexity of seemingly simple decisions related to intervention design and employ more systematic, intentional, and inclusive decision-making procedures. Without attention to such practical matters, the current window of opportunity to reduce malnutrition on a global scale may quickly close. Hoey, L. (2011). Adaptive Strategies for Policy Implementation in Urban Contexts: Lessons from Bolivia’s Zero Malnutrition Program. Pp 3-25. In Herzer, L. (Ed). 2011. Reducing Urban Poverty: A New Generation of Ideas. Washington DC: Woodrow Wilson International Center for Scholars and USAID. Download here. This paper argues that decision makers need operational guidance about how to implement health policies in rapidly urbanizing developing contexts. Taking Bolivia’s Zero Malnutrition Program as a point of departure, the author conducted a comparative case study of health centers in three diverse cities, collecting data through participant observation, document review, focus groups and interviews. Findings highlight the unique issues urban-based health staff confront, including populations in transition, inequitable planning, and unmanageable workloads. Emerging strategies suggest that more progress could be made if health policy models like Zero Malnutrition’s accounted for such systemic constraints, while delegating more authority for localities to innovate. Hoey, L. (2009). Civil Society Strategy to Fight Soil Degradation in Peru. In Pinstrup-Andersen, Per and Fuzhi Cheng (Eds). Case Studies in Food Policy for Developing Countries: Policies for Health, Nutrition, Food Consumption, and Poverty, Cornell University Press, Ithaca, NY. This and the other cases can be found on this website. This publication was in the form of a case study for a compilation of practice-based scenarios on food policy in developing countries intended for use in the classroom. The case study, based on an evaluation I helped carry out, is about the threats of salinization affecting small farmers in Peru’s north coast, a process that can cause irreversible desert-like conditions (UNEP 1992). The evaluation was of a project a nongovernmental organization (NGO), Heifer Project International (HPI), was carrying out to reverse the salinization process and improve the livelihoods of affected farmers. Their strategies were successful, attracting a growing number of farmers in the region. HPI’s key strategies focused on participatory planning and management with leaders of local irrigation commissions, training in eco-agriculture practices, and rotating funds for small-scale livestock and seeds for alternative crops. The case study has students consider the wider policy environment to determine how they would scale up the impact of their work if they were directing HPI in Peru. They were asked to consider whether HPI should continue working exclusively with small farmers, or if they should try to partner with or influence other civil society actors, policy makers, agrochemical companies, or credit agencies.